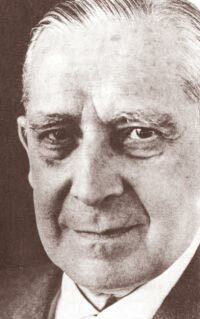 Spanish intellectual, student of Ortega y Gasset, Zubiri was ordained a priest in 1921 and taught History of Philosophy at the Universidad Central of Madrid. During a long period in Germany, he came into contact with Husserl, Heidegger and Hartmann. In 1935, after being released from his vows, he moved to the Institute Catholique in Paris. Returning to Spain at the end of the civil war, he was obliged to transfer to the University of Barcelona, where he remained until 1942. He subsequently taught privately in Madrid, where in 1947 he founded the Sociedad de Estudio y Publicaciones and began publishing his major works. Zubiri elaborated a form of Christian existentialistic realism and a phenomenological actualization of scholastic anthropology, founded on the anti-subjectivistic concept of the “relegation” between man and God. 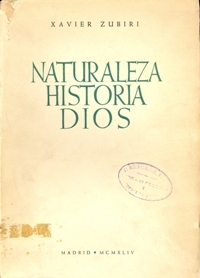 Main works: Naturaleza, Historia, Dios (Madrid 1945); Inteligencia Sentiente. Inteligencia y Realidad (Madrid 1980); Inteligencia Sentiente. Inteligencia y Logos (Madrid 1982); Inteligencia Sentiente. Inteligencia y Razón (Madrid 1983). Bibliography: S. Armando, Unamuno, Ortega, Zubiri: tre voci della filosofia del Novecento, Napoli, Guida 1989; A. Gonzales, Philosophie de la religion et théologie chez Xavier Zubiri. Suivi d'un texte de Xavier Zubiri, Paris, l'Harmattan 2006; Études autour de Xavier Zubiri. Dieu, les religions, le bien et le mal, avec les contributions de X. Zubiri, E. Cescon, A. Tamayo Ayestarán [et al. ], Paris, l'Harmattan 2008; Xavier Zuburi, a cura di A. Mascolo e M.L. Mollo, «Rocinante. Rivista di Filosofia iberica e iberoamericana», 2010, n. 5. The personal library of Zubiri (the catalogue of which contains 7878 descriptions) is kept together with books from the collection of Américo Castro (Cantagallo, Brasile, 1885 - Lloret de Mar, 1972). It should be noted that some sectors of the library, like the large literature section, are not included in this research programme. – from the site of the Fundación Xavier (http://www.zubiri.net/), choose “Biblioteca personal de Xavier Zubiri”.